On September 22nd, On Point Promotions put on a show at Winston’s in Ocean Beach. 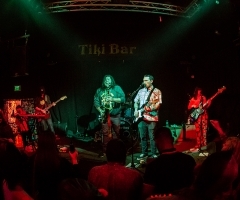 Hosted by 94.9 local reggae radio host DJ Carlos Culture, the show opened up with Ocean Natives who were joined onstage by Brian Zach from Synrgy on keys. They got the crowed warmed up and ready for the night. Next came The Good Tones; this was my first time seeing them and, have to say, they killed! I really enjoyed their energy and how they played to the crowd. The night closed out with Burritos the Band blowing the doors of Winston’s OB. So much dancing and singing to all our favorite Sublime songs! So much dancing and singing to all our favorite Sublime songs! Proceeds from Burritos go to support The Nowell Family Foundation. 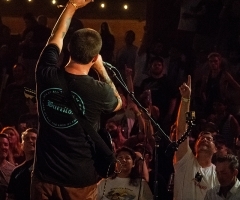 For those who don't recognize the non-profit, here is what's advertised on their website: “Inspired by late Sublime front man Bradley Nowell, The Nowell Family Foundation provides addiction recovery services to the music community through the combined strength of the music industry and those who have been touched by the power of music. 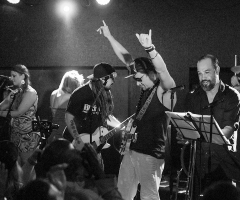 The Nowell Family Foundation is raising funds to open Bradley’s House, a six-bed recovery facility that will provide treatment for people in the music industry with opiate addiction, regardless of their financial situation. The goal is to offer a top level of clinical care, including medical detox and the ability to treat the most acute cases, through nationwide partnerships.” For more information or to donate today, click here. 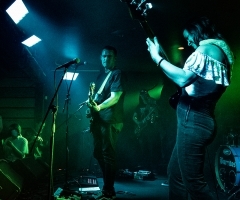 Upcoming shows for "burritos the band"